Russell Moore is busy redefining what it means to be pro-life. He has declared immigration a pro-life issue. He has tried to expand pro-life advocacy to include womb-to-the-tomb entitlements as a Gospel issue. Now Dr. Moore’s Ethics and Religious Liberty Commission (ERLC) of the Southern Baptist Convention is promoting a view of animals that likens them to humans. The video (now deleted from the ERLC website, but still on the ERLC Vimeo at time of posting Wednesday evening) compared the voiceless vulnerability of animals to unborn children. The video is an ERLC attempt to examine “What is the Christian’s Responsibility With Respect to Animals.” Attempting to answer the question for the ERLC is Fordham University professor Charles Camosy. It drew a strong reaction from Southern Baptists on twitter. Camosy contends in other videos available on Vimeo (not produced by the ERLC) that Christians should model the non-violence of Christ’s Kingdom and avoid meat unless in serious need. Camosy teaches at Fordham University, which styles itself as the Jesuit University of New York. Camosy is no doubt an accomplished scholar who has contributed much to Catholic understanding of moral philosophy. However, why has the ERLC consulted a Catholic philosopher to tell Southern Baptists what to do with delicious animals? 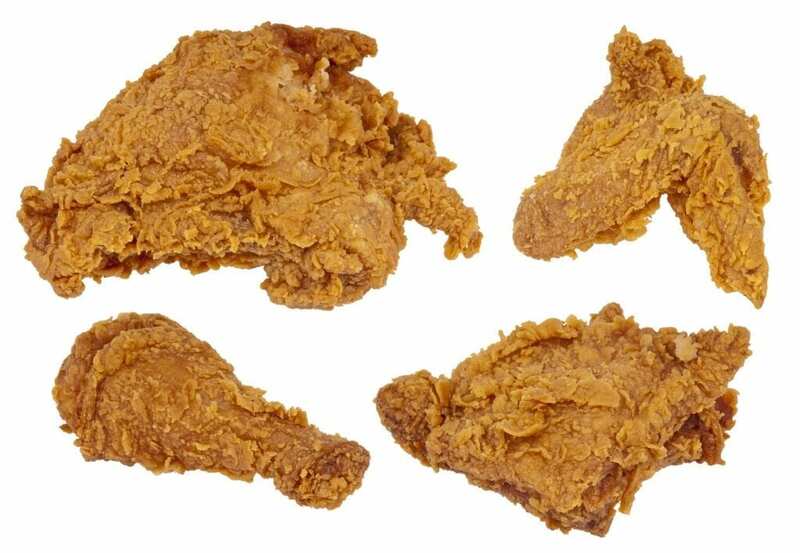 Southern Baptists tolerated Russell Moore’s nonsense when he tried to expand the pro-life cause to include illegal immigration; however, we cannot allow him to take our fried chicken. This is what your Cooperative Program dollars support. What’s next? Dr. Moore adopting the California war on Straws and declaring that a Gospel issue? Do you want the ERLC using Southern Baptist money to undermine our covered dish suppers? Or use offerings from Southern Baptist churches to undermine our national borders? It is time to rebuke the progressive nonsense infecting the ERLC. Let the vegan and vegetarian ERLC elites know you won’t tolerate this attack on our Southern Baptist diet. Russell Moore and his ERLC are not respected by rank and file SBs. Col. Sanders would be a far better ambassador for the brand IMO.